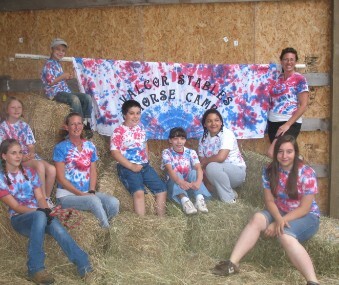 Valcor Stables offers summer riding camps! Come join in the summer fun with Val and the whole barn family! We offer five sessions that are each a week long, and our camp is from 9 am to 5 pm. Our camps are fun for kids of all ages, and no riding experience is necessary! We end each week of camp with a barbeque and a horse show where campers can show off their horses and their new skills to their parents! All parents and family members are invited to the show to see how much their children have grown.